he palace complex of the Persian King Darius I, the Great (522-486 BCE), provides unique evidence of the sophistication of Achaemenid architecture and construction. This palace, built 2500 years ago in western Iran, lay at the centre of the Persian Empire that stretched from the Nile and the Aegean to the Indus Valley. First rediscovered in 1851, the Palace of Darius was partly excavated over the next century but it was only field research between 1969 and 1979 by the noted French archaeologist Jean Perrot which revealed the site’s full dimension and complexity. Its bull-headed capitals, enamel friezes of richly-clad archers holding spears, figures of noble lions and winged monsters, introduced a new iconography into the ancient Persian world. The discovery and excavation of the palace, which this book records, thus casts a new light on the beginnings of the Achaemenid period. Edited by the distinguished scholar of ancient Persia, John Curtis, the lavishly illustrated volume is a work of seminal importance for the understanding of ancient Persia, likely to be radically altered by Perrot’s research and findings. 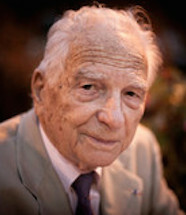 A former Director of the Centre National de la Recherche Scientifique (CNRS), Dr Jean Perrot (1920-2012) is an archaeologist and scholar who led the Délégation Archéologique Française en Iran (DAFI) which made many important Achaemenid discoveries in Iran between 1968 and 1979. Perrot was a graduate of the Ecole du Louvre where he studied under two experts in Syrian archaeology – André Parrot and René Dussaud. He went on to study at the École Biblique et Archéologique Française de Jérusalem in 1945. He researched a number of ancient sites in Iran, Israel and Turkey, animating the research at international level. He first went to Iran in 1968, a year after the retirement of Roman Ghirshman, to head the Delegation Archéologique Français (DAFI) and excavations of the country’s ancient sites. He headed a multidisciplinary team in conjunction with the Iranian Centre of Archaeological Research, including experts from France, Iran and the United States who continued studies until the revolution in 1979. He worked on sites such as Susa and Jafar Abad and took measures to safeguard the vestiges of the Achaemenid period (between the sixth and fourth millennia BC). His notable discoveries included the headless statue of Darius which is now housed in the National Museum of Iran in Tehran. The Persian Empire achieved its greatest glory under Darius, a king who crowned his achievements by building magnificent palaces at Persepolis and Susa. 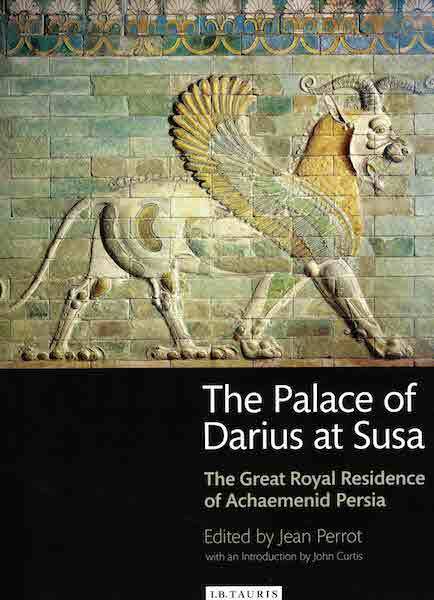 This lavishly illustrated new book looks at Susa, which sat at the centre of the Achaemenid Empire during the 5th and 4th centuries BC. The wonderful photographs and maps by archaeologists past and present, the delicate watercolours painted by early visitors, and the detailed plans and diagrams explaining layout, architecture, and building techniques ensure it is a joy to look at, as well as to read. Not only easy on the eye, this huge tome both reveals the history of the archaeology of the site from its identification in the 19th century, and discusses the findings of subsequent investigation and recent excavation. Throughout, we are treated to a comprehensive history of the Empire from its earliest days in the 6th century BC, and insights into life and rituals during these fascinating times. An informative introduction written by the British Museum’s John Curtis includes an affectionate tribute to the editor – and excavator – Jean Perrot, who, sadly, died before seeing his work published. The book will appeal to readers on several levels: the armchair traveller, the enthusiastic amateur, and the informed scholar.